November 03, 2010 (KATAKAMI / NYDailyNews.com) — President Obama acknowledged Wednesday that he took a “shellacking” at the hands of the Republicans but said he stands by his policies. 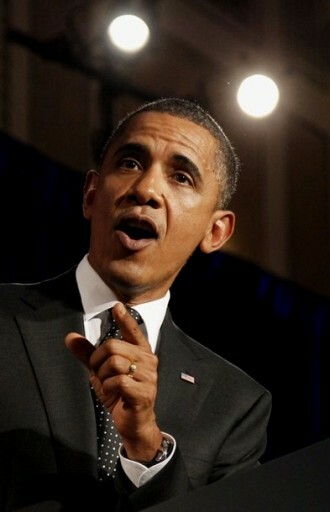 With the stinging rebuke, Obama acknowledged he is ready to work with GOP leaders to solve the nation’s ills. “This is something, I think, every President needs to go through,” a somber Obama said a day after his Democrats were trounced at the ballot box and the Republicans took control of the House. Obama said he understands the anguish of average Americans during these tough economic times – and conceded he hasn’t done enough to let the people know he feels their pain. It was an out-of-character admission from the normally cool and composed Obama whose critics have accused him of leading the nation more like a professor than a President. Four years ago, President Bush admitted to receiving a “thumping” from the Democrats in the congressional elections. But he still managed to muster a grin. There was no smile on Obama’s face at the White House when he emerged for his first post-election debacle press conference. 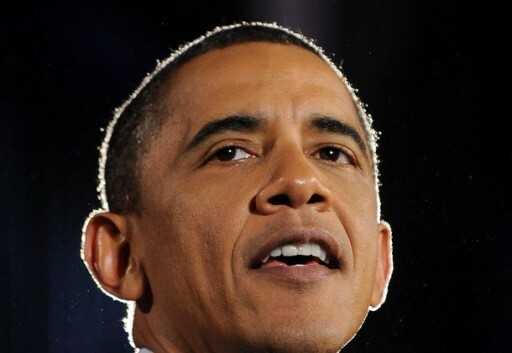 Obama quickly made news by signalling a willingness to possibly compromise on the Bush tax cuts. He had said in the past he wants to extend them to everybody except people making over $250,000-a-year. Obama also said he’s willing to discuss ways of improving his signature health care reform, but won’t scrap it altogether as many Republicans have demanded. The President also reiterated his desire to scrap “Don’t Ask, Don’t Tell,” another move opposed by many in the GOP. “I take responsibility for it,” he said. Obama addressed the press after jubilant Republicans claimed a mandate to roll back much of what the President and the Democrats accomplished in the last two years. “It’s pretty clear the American people want a smaller, less costly, more accountable government here in Washington,” said Ohio Rep. John Boehner, who is expected to be Speaker of the House when the new Congress begins work in January. The President said he got the message loud and clear that the “number one concern is economy” and that Americans are “deeply frustrated” by the high unemployment. “They want jobs to come back faster, they want paychecks to go further,” he said. Nov 2, 2010 (KATAKAMI / HAARETZ) — PM Benjamin Netanyahu asks Clinton to meet with him during his visit to the U.S. next week, already planning to hold talks with Biden in New Orleans. Prime Minister Benjamin Netanyahu believes that the Obama administration will renew its initiatives to relaunch direct peace talks between Israel and the Palestinian Authority after the U.S. midterm elections conclude on Tuesday, sources in Jerusalem said on Tuesday. The sources said that Netanyahu was interested in resuming the political process and had asked Secretary of State Hillary Clinton to meet with him during his visit to the U.S. next week. The premier is already planning talks in New Orleans with U.S. Vice President Joe Biden, Both Netanyahu and Biden are scheduled to address November 7-9 General Assembly of the Jewish Federations of North America. President Barack Obama, who is trying to revive Israeli-Palestinian peace talks stalled over Israeli settlement building, leaves on November 5 for a 10-day visit to India, Indonesia, South Korea and Japan. As such, the two leaders will not meet during Netanyahu’s trip. A new round of direct peace talks between the Israelis and the Palestinians got under way in Washington on Sept. 2 only to stop a few weeks later when Israel lifted restrictions it had imposed on a 10-month West Bank settlement building. 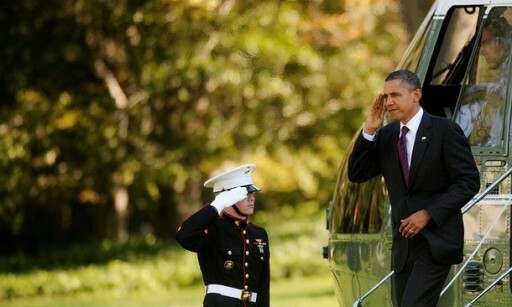 Polls released ahead of Tuesday’s midterms predicted hefty losses for Obama’s Democrats. Israeli ministers expect this will force him to avoid any bruising showdowns with Israel and its supporters in the coming months for fear of further undermining his shaky electoral position. 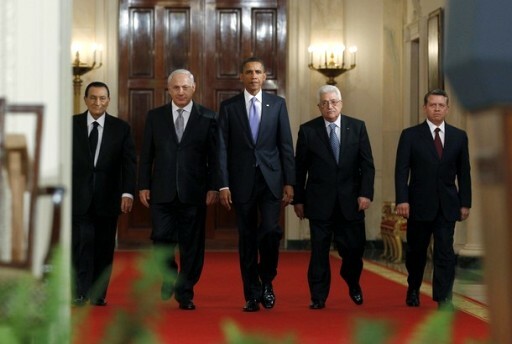 Palestinians hope that after the vote, Obama will refocus on foreign affairs and use the last two years of his presidential mandate to seek a place in history by securing an end to the decades-old conflict, regardless of obvious domestic risks. November 02, 2010 (KATAKAMI / POLITICO) — In the only action from the White House all evening, President Obama called John Boehner and other leaders of Congress to talk about the election results. He called Nancy Pelosi, Steny Hoyer and Mitch McConnell, too. “In his calls with Rep. Boehner and Sen. McConnell, the President said he was ‘looking forward to working with him and the Republicans to find common ground, move the country forward and get things done for the American people,’ ” the White House said in a statement. November 02, 2010 (KATAKAMI / Rantburg.Com / KUNA) — Israeli Prime Minister Benjamin Netanyahu said Monday there were no American proposals to freeze settlement construction in the West Bank, noting that the political situation was in a stalemate status. “The American administration is busy with the Congress elections so they will not discuss the settlement freeze now, and until now there is no realistic American proposal to end this crisis,” Netanyahu said during a session of the Likud bloc members at the Knesset. Netanyahu, quoted by the Yediot Ahronot website, said “The Paleostinians’ taking a unilateral step to declare the Paleostinian state will make the two parties pay high prices and these steps will not solve the dispute.” Paleostinian Authority President the ineffectual Mahmoud Abbas said last Thursday the Paleostinians could submit a request to the UN and the US to recognize a Paleostinian state on the pre-1967 war borders if the direct peace talks with the Israelis failed to resume. October 31, 2010 (KATAKAMI / HAARETZ) — Movement is not a breakaway from Netanyahu’s party, Likud MK and organizer says, but is meant to help PM reject Obama’s pressure to bend to Palestinian conditions for peace talks. A “Say No to Obama” event in Israel drew only 100 supporters on Sunday as the Likud Party launched its own version of the Tea Party movement that is challenging the U.S. President in Tuesday’s mid-term elections. There were no security police outside and parking was easy in the notoriously clogged center of Tel Aviv, as former Knesset deputy Michael Kleiner, a member of Prime Minister Benjamin Netanyahu’s Likud bloc, inaugurated the movement. “This is a message to the United States president that in relations between democracies you do not force people to do things they did not vote for,” Kleiner told reporters. 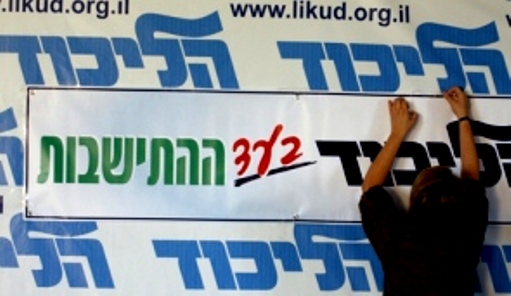 The Israel Tea Party launch did not mark the start of a breakaway right-wing party, he said. It was meant to help Netanyahu reject Obama’s pressure to bend to Palestinian conditions for the revival of flagging peace talks. 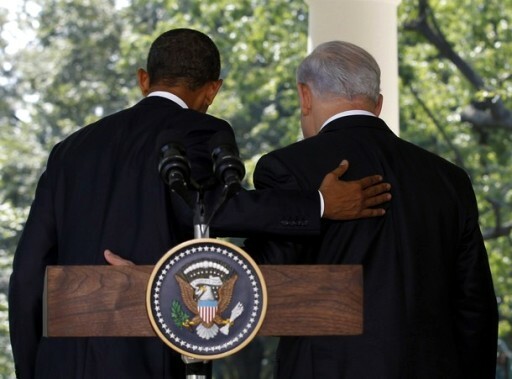 “Obama will use the next two or three months not to bend Netanyahu’s arm but to break it,” Kleiner warned. Like the rest of Likud, his supporters back Israeli settlements in the occupied West Bank and reject U.S. calls for a continuation of the partial freeze Netanyahu ordered last November to open the door to direct talks. It ended a month ago. For the moment, Israel’s Tea Party is simply a grassroots movement intended to back up Netanyahu, Kleiner said, but it is also ready to break with him if he yields to American pressure. 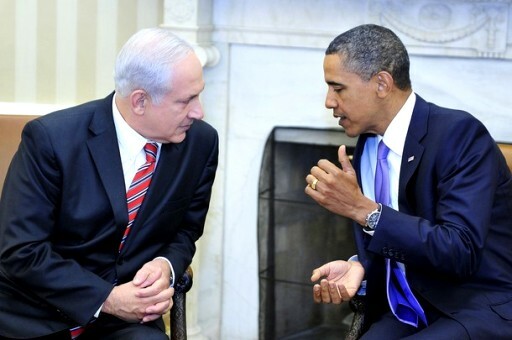 Obama is not popular with many Israelis who believe he sympathizes with the Palestinians, polls show. Launching their movement in a modest auditorium decked with red and black balloons and seating for 130, however, organizers clearly did not expect a massive turnout to the “Say No” event. But it was early days, said Tea Party member Boaz Arab, of the Jerusalem Institute for Market Studies (JIMS). Obama’s drive for a Middle East peace agreement that would create a state for the Palestinians living alongside Israel was the target of the launch, he said. But there were further goals. “Our perspective is much wider. Israel needs a capitalistic movement to free the economy from its burden of high taxes, high government spending and a bloated administration,” he said, in a message American Tea Party supporters would recognize. An index calculated by the institute shows that after annual taxes are paid Israelis “start working for themselves only after June 22 this year”, said Arad, a research fellow at JIMS. Polls in the United States indicate this same sentiment among Americans could deliver bad results for Obama’s Democratic party in Tuesday’s mid-term elections for the House of Representatives and one third of the U.S. Senate. Netanyahu said on Sunday he would meet U.S. Vice President Joe Biden after the results are known next week, at the Nov. 5-9 General Assembly of The Jewish Federations of North America. He said he would discuss how to revive stalled peace negotiations. A new round of direct talks between the Israelis and the Palestinians got under way in Washington on Sept. 2 only to stop a few weeks later when his government refused to extend the curb on West Bank settlement building he had imposed for 10 months. Palestinian President Mahmoud Abbas wants a construction freeze before going any further. October 31, 2010 (KATAKAMI / HAARETZ) — PM to travel to New Orleans for annual U.S. Jewish conference, due to meet with U.S. Vice President Joe Biden. Prime Minister Benjamin Netanyahu will travel to New Orleans early in November for an annual U.S. Jewish conference, but is unlikely to meet President Barack Obama, who will be in Asia. Netanyahu announced his plans at a cabinet meeting on Sunday and said he would hold talks in New Orleans with U.S. Vice President Joe Biden, who is also scheduled to address the Nov. 5-9 General Assembly of The Jewish Federations of North America. Obama, who is trying to revive Israeli-Palestinian peace talks stalled over Israeli settlement building, leaves on Nov. 5 for a 10-day visit to India, Indonesia, South Korea and Japan. Israeli officials said Netanyahu planned to fly to the United States on Nov. 7. A new round of direct peace talks between the Israelis and the Palestinians got under way in Washington on Sept. 2 only to stop a few weeks later when Israel lifted restrictions it had imposed on West Bank settlement building for 10 months. Palestinian President Mahmoud Abbas has demanded a construction freeze in settlements as a condition for resuming the negotiations on establishing a Palestinian state in the West Bank and in the Gaza Strip. October 29010 MOSCOW (KATAKAMI / ChannelNewsAsia.Com) — Russian President Dmitry Medvedev and his US counterpart Barack Obama will hold talks on the sidelines of an APEC summit in Japan next month, the Kremlin said Thursday. “The Russian and American presidents will have a full meeting on the sidelines of the APEC summit in Yokohama in Japan on November 13-14,” a statement said without giving further details. The two leaders will travel to Japan after attending a Group of 20 economic summit in South Korea on November 11-12. At the Asia Pacific Economic Cooperation (APEC) summit the 21 members are expected to again talk about the tricky issue of opening up their markets to each other. Although APEC has made little headway for years in creating a free trade zone in the dynamic Pacific Rim region, a US-backed initiative that started five years ago with a group of small economies is gaining momentum. Obama will meet Chinese President Hu Jintao in South Korea on November 11 ahead of the G20 summit as Sino-US economic tensions flare and territorial rows fester between Beijing and its neighbours. 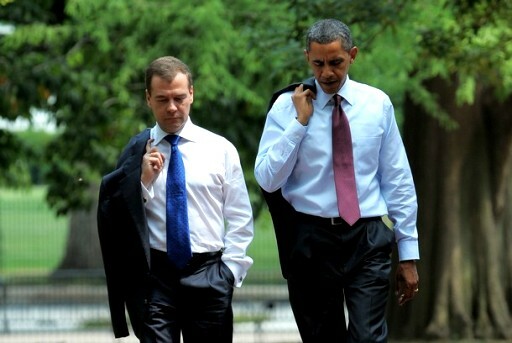 White House deputy national security adviser Ben Rhodes said that Obama’s relationship with Medvedev was one of the “closest and most active” with any foreign leader. “They’ll have an opportunity to discuss a number of issues, including the progress that’s been made recently in terms of US support for Russia’s entry into the WTO, as well as our ongoing cooperation on issues like non-proliferation, nuclear security, and other security issues,” Rhodes said. 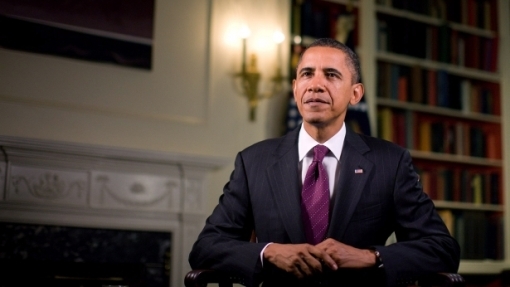 Obama’s Dilemma : Politics or ideology? October 25, 2010 (Ynet) — If all the other troubles are not enough for President Obama, he and the Democrats also lost the support of the business sector. The legislation he initiated in a bid to reinforce the monitoring of Wall Street, and his efforts to impose taxes on the rich and protect the middle class exacted a heavy price on his plan to rehabilitate America’s economy. Despite the economic crisis, those who think there is no money available in America are gravely mistaken. Immense sums of money are currently frozen in the large banks and major corporations, which are hesitant to invest it and stimulate the economy as long as Obama threatens to impose legislation and taxes that may harm them. The bitter result is that the economy is on hold, while Obama and the Democrats pay the price in the November elections. The money that is changing hands within the economic elite is meant to deliver a grave blow to the ruling party. The Supreme Court contributed to this situation when it permitted companies and individuals to donate money to campaigns without revealing their identities. The ability to act discreetly and without financial limits enabled America’s wealthy, ranging from the air-conditioned office dwellers in Wall Street to the oil drillers in Texas to dramatically affect the current elections campaign; the same will apparently happen in the next presidential elections. An astronomical sum of $3 billion had been poured into election ads in recent weeks. A quick glimpse at the TV set shows that the Republicans hold a major advantage over the Democrats. Just to illustrate, a group led by Karl Rove, former President George W. Bush’s senior advisor, easily poured $250 million into the campaign. In the first half of his term in office, Obama did things that many presidents before him did not: He successfully advanced revolutionary laws to stimulate the economy, approved a historical healthcare reform, and reinforced the monitoring of Wall Street’s dark corners. The voters want to see immediate results, yet the fruits of Obama’s labor will only be evident years from now. Similarly, the healthcare reform is a complex process, whose achievements will only become apparent in the future. On November 3rd, when America wakes up to a new Congress and new governors, the presidential election campaign shall in fact get underway. 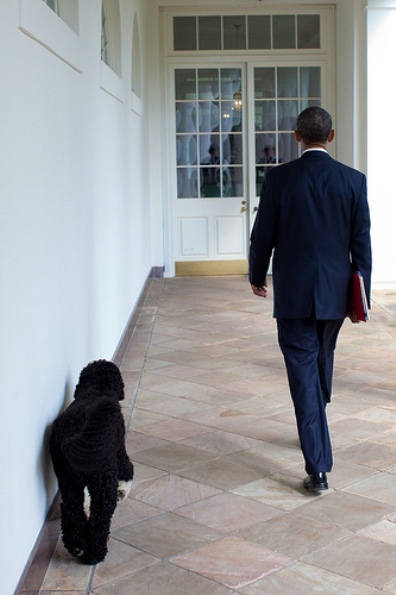 The great political question (with the answer to be provided only two years from now) is what kind of Obama will be sitting in the White House 11 days from now. Will he follow in the footsteps of Bill Clinton, who lost the Democratic majority in Congress and realized he has no choice but to shift to the Center? Or will he follow the example of Jimmy Carter, who insisted on promoting a liberal agenda? 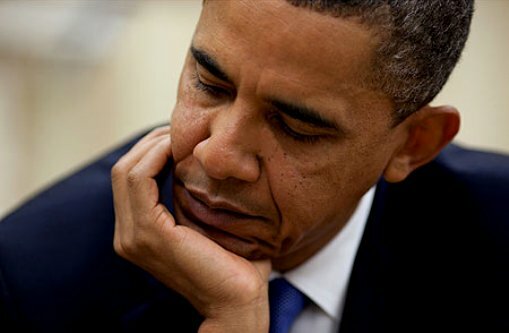 Obama has already attempted to provide excuses for the expected November defeat, arguing that he was too busy with policy and abandoned politics. Indeed, this is the dilemma between the Clinton way and the Carter way: The former internalized the lessons of the Congress defeat in 1994, chose politics, and was elected for a second term in office. 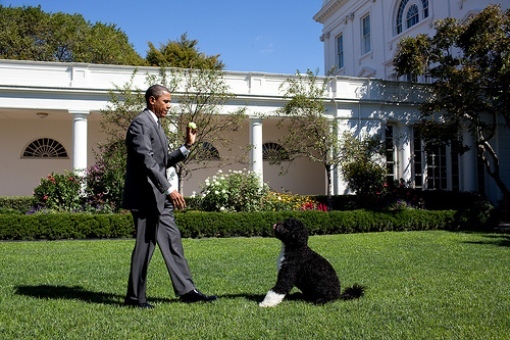 The latter stuck to his truth, chose to go ahead with his policy, and was kicked out of the White House after four years. October 24, 2010 (KATAKAMI / Ynet) — After the US president licks the wounds suffered in the Congress elections campaign, he will prepare to head to the Far East. Recently, he called off his plan to visit the Golden Temple in Punjab, India, officially pleading “logistical problems.” However, according to reports (which have been denied,) the president is in fact concerned about donning the white robe customarily worn in the temple. The unofficial reason for calling off the visit is the wish to avoid another photo to be used by Obama’s rivals as proof that he is in fact Muslim. If these reports are accurate, this story perfectly expresses the turnaround in the president’s status since November 2008. Obama entered the White House with immense confidence, delivering strategic speeches in Turkey and in Egypt where he expressed his wishes to improve ties between the US and the Muslim world. Yet Obama in November 2010 no longer possesses the self-confidence that turned him from a junior senator to the leader of the world’s greatest power. Right now, he is hiding in the bunker. On top of the smearing on racial on religious grounds, the president is facing genuine distress in the face of the Congress elections. The beaten up president and his party members have known for months now that the battle for a Congress majority is a lost cause. 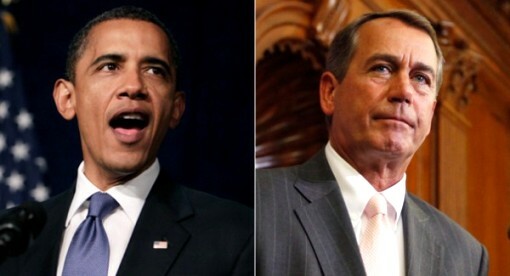 The House majority, as well as the post of House speaker, will fall into the hands of the conservatives. The big question is whether the Democrats will be able to maintain their control in Senate. In the last elections campaigns, it was possible to point to a political gender-based gap. While men tended to vote Republican, women tended to vote Democrat. Yet the recent polls show that the female vote is also shifting to the Right. Some 52% of women still support the Democrats, yet this marks a sharp drop in the face of the masculine zeal to topple the Left, and Obama knows it. Hence, his West Coast trip is dedicated to meetings with women and efforts to boost two female Democrats who had been serving in Senate for 18 years now. Yet it’s not only the women who are abandoning the Democrats. Americans who are 50 years of age and above are concerned that Democratic policies will undermine their future old-age allowances. 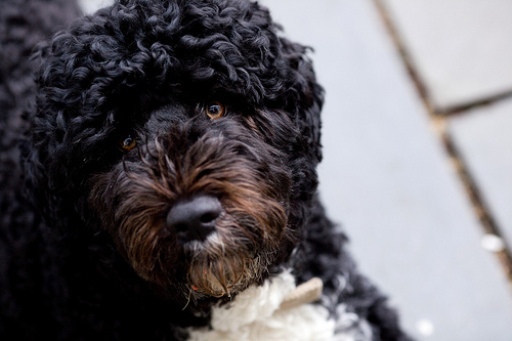 Young Americans are also making it difficult for Obama. The 30-and-below group that brought him to power two years ago is known as an elusive constituency, and it is doubtful whether young voters will be heading to the polling stations en masse in nine days. Yet Obama’s greatest problem is the independent voters. These are the people who titled the balance in 2008 and elected Obama, who promised them change. Now, the president is paying the price for that promise, which to begin with created an exaggerated bar, turning him into a leader that is no different than his predecessors; a leader who makes promises but cannot deliver the goods. October 20, 2010. 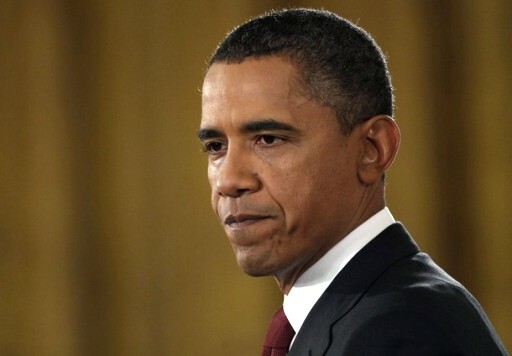 WASHINGTON, USA (KATAKAMI / ASIAONE) – US President Barack Obama said Tuesday he had no objection to Venezuela developing nuclear power for civilian energy purposes, days after Caracas and Moscow signed a landmark deal. “We have no incentive nor interest in increasing friction between Venezuela and the US, but we do think Venezuela needs to act responsibly,” Obama told Spanish media at the White House. “Our attitude is that Venezuela has rights to peacefully develop nuclear power,” he said, adding that as a signatory of the nuclear non-proliferation treaty it must also meet its obligations not to weaponize those systems. Venezuelan President Hugo Chavez clinched a deal in Moscow on Friday that will see Russia build and operate the first nuclear power plant in his country. Closer ties between Moscow and Caracas – Chavez has bought more than US$4 billion (S$5.26 billion) of weapons from Russia and promised to give it greater access to Venezuelan oil fields – are being closely watched in Washington. In an apparent reference to the United States, Russian President Dmitry Medvedev acknowledged that the move to build the nuclear research facility could concern some countries. The agreement was signed by the head of Russia’s atomic energy agency Sergei Kiriyenko and built on a plan agreed by Prime Minister Vladimir Putin with Chavez during a visit to Caracas in April. Further details were not given about the timing or cost of the construction of the station, but Medvedev said diversifying energy sources was a priority even for a energy-rich country like Venezuela. Obama said Tuesday that the United States would continue to push for human rights and political and media freedoms in Venezuela as he urged the Venezuelan people not to believe their leader’s anti-American propaganda. “The antagonism between our two countries is not inevitable,” he said. In his latest sparring with Washington, Chavez officially informed the United States last month that he would not accept Obama’s designated ambassador to Caracas. The Venezuelan leader has strenuously objected to the appointment of veteran diplomat Larry Palmer after he sharply criticized the Chavez government in his Senate confirmation hearings. Jakarta 18/10/2010 (KATAKAMI) — Ya, kabar baik datang dari Kampus Bulak Sumur atau Universitas Gajah Mada Jogjakarta. UGM akan memberikan penghargaan kepada Almarhumah Stanley Ann Dunham Obama yang notabene adalah Ibunda dari Presiden AS Barack Obama dan Maya Soetoro Ng. Seperti yang diberitakan oleh DETIK.COM (18/10/2010), Ibunda presiden Amerika Serikat Barack Obama, Dr Stanley Ann Dunham akan mendapatkan penghargaan dari Universitas Gadjah Mada (UGM) karena dinilai telah berjasa dalam mengembangkan ekonomi kerakyatan, khususnya bagi masyakarat Bantul dan Gunung Kidul, Yogyakarta. “Kita memberikan penghargaan pada orang-orang yang peduli pada ekonomi kerakyatan,” ujar Rektor Universitas Gadjah Mada, Sudjarwadi. Menurut Sudjarwadi, dari berbagai literatur yang telah ditelusuri, Ann Dunham mengerjakan disertasinya tentang ekonomi kerakyatan khususnya pada masyakarat pandai besi dan kerajinan tangan. “Kita menemukan Ann Dunham bekerja dan memberikan cintanya untuk masyarakat,” kata Sudjarwadi. Dari kacamata akademik, Ann Dunham seorang antropologis ekonomi dan fokus penelitiannya adalah masyarakat ekonomi yang terpinggirkan seperti para pandai besi dan peran wanita di pedesaan. “Kita gabungkan dengan metode Pak Mubiyarto yang membawanya ke dalam level teoritis,” terangnya. Tidak banyak yang tahu bahwa sesungguhnya sosok Stanley Ann Dunham, sudah lebih dulu berkiprah secara nyata di Indonesia. Walau memang, tidak secara khusus berkelana di panggung-panggung politik. Ann Soetoro menyelesaikan pendidikannya di jurusan antropologi University of Hawaii at Manoa (UHM). Di kampus itu, di kelas bahasa Rusia, ia bertemu dengan Barack Hussein Obama Senior, mahasiswa jurusan ekonomi dari Kenya. Pernikahan mereka tak berlangsung lama. Obama Junior lahir di tahun 1961. Tak lama, kedua orangtuanya berpisah. Obama Senior melanjutkan pendidikan ke Harvard University. Dia pernah kembali ke Hawaii di tahun 1980. Itu adalah pertemuan terahirnya dengan Obama Junior. Obama Senior meninggal dunia dalam sebuah kecelakaan lalu lintas di Kenya tahun 1982. Sementara itu, tahun 1967, setelah meraih gelar sarjana dari jurusan itu dan menikah dengan pria Indonesia, Lolo Soetoro, Ann Soetoro berangkat ke Indonesia. Obama yang baru berusia enam tahun dibawa serta. Tahun 1971 Obama kembali ke Hawaii, dan melanjutkan pendidikannya di Punahou School sampai tamat di tahun 1979 dan pindah ke mainland. Adapun Ann Soetoro tetap tinggal di Indonesia sampai tahun 1973, ketika ia kembali ke Hawaii untuk meraih gelar master di jurusan antorpologi. 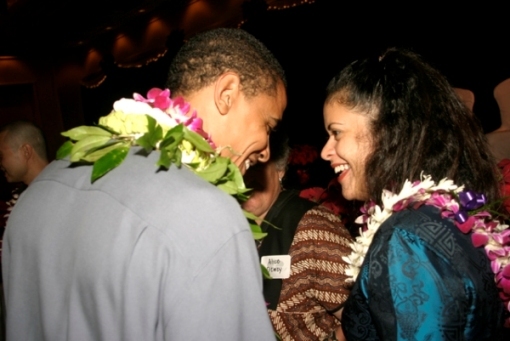 Ann Soetoro kembali ke Hawaii bersama Maya Soetoro, buah cintanya dengan Lolo Soetoro. Di tahun 1976, setelah gelar master diraih, Ann Soetoro dan Maya kembali ke Indonesia. Kali ini Obama tidak ikut serta. Di Indonesia, Ann Soetoro bekerja sebagai peneliti pada berbagai lembaga penelitian, Ford Foundation, USAID, juga pernah menjadi konsultan untuk Bank Rakyat Indonesia. Kecintaannya pada Indonesia, terutama kehidupan masyarakat kecil di pedesaan, semakin besar. Gelar doktor diraihnya tahun 1992. Bersamaan dengan itu kariernya menanjak. 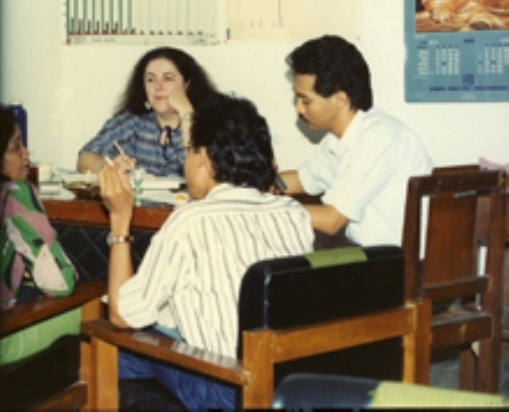 Di tahun 1993 dia bekerja di Women’s World Bank di New York. Tahun 1995 Ann Soetoro meninggal dunia karena kanker rahim yang dia derita setahun sebelumnya. Jenazah Ann Soetoro dikremasi. Dan abunya ditebarkan di pantai selatan Pulau Oahu, ke arah Indonesia. 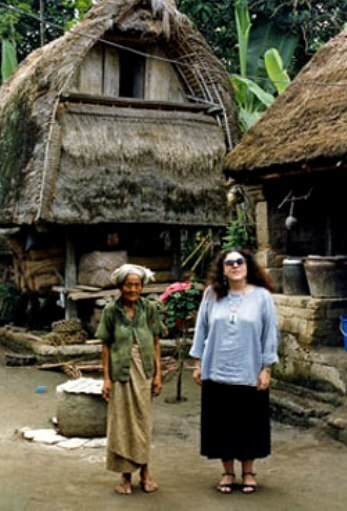 Di Indonesia ini, Ann – panggilan Stanley Ann Dunham – pernah tinggal sangat lama. Terutama setelah perkawinan pertamanya dengan pria keturunan Kenya (Barack Obama Senior, red) kandas. Cintanya yang tertaut pada seorang pria Indonesia (Lolo Soetoro, red) , menjadi jalan pembuka bagi Ann untuk mengenal, datang, tinggal, bekerja dan akhirnya begitu mencintai Indonesia secara total. Ann memang memiliki dan menjalani karier profesionalnya di Indonesia. Lebih detail tentang pekerjaannya adalah antara bulan Januari 1968 sampai Desember 1969, Ann bekerja sebagai Asistem Direktur Lembaga Indonesia – Amerika di Jakarta. Bulan Januari 1970 sampai Agustus 1972, Ann adalah Direktur LembagaPendidikan & Pengembangan Manajemen yang tugas utamanya adalah melakukan supervisi penerbitan buku-buku pendidikan dan manajemennya. Tahun 1977, Ann kembali ke Jakarta dan bekerja sebagai Instruktur di Balai Perencanaan Pembangunan Nasional (Bappenas). Setahun kemudian yaitu tahun 1978, ia menjadi Konsultan di Kantor Perwakilan International Labour Organization (ILO) di Jakarta. Tahun 1978 – 1980 juga, Ann menjadi Konsultan pembangunan pedesaan USAID di Departemen Perindustrian RI. Di masa menjadi Konsultan USAID inilah, Ann aktif mengunjungi desa-desa terpencil di pedalaman Pulau Jawa untuk secara khusus membantu KAUM PEREMPUAN yang miskin. Tahun 1981 – November 1984, Ann menjadi Supervisor Program Pemberdayaan Perempuan di FORD FOUNDATION ASIA TENGGARA yang memiliki kantor perkawinannya di Jakarta. Kemudian tahun 1988 (setelah bekerja di Asia Development Bank atau ADB di Pakistan), Ann kembali ke Jakarta dan menjadi Koordinator Riset dan Konsultan di Bank Rakyat Indonesia. Ia turun langsung melakukan pelatihan-pelatihan karyawan di 7 provinsi dan membantu skema mikro kredit bagi rakyat miskin dan menganalisa data-data. Seluruh dunia boleh saja mengenal Barack Obama. Ya betul, dia adalah tokoh sangat amat penting yang saat ini memiliki posisi atau jabatan yang sangat amat berpengaruh di dunia internasional. 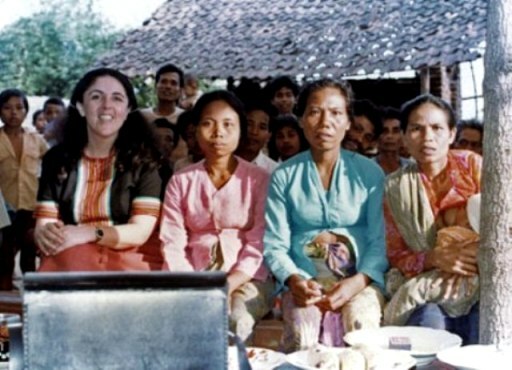 Tapi jika bicara mengenai sosok (Almarhumah) Stanley Ann Dunham Obama, perempuan yang sangat amat pintar ini sudah lebih dulu menggunakan posisi dan pengaruhnya untukmembantu rakyat Indonesia di berbagai pedesaan. Ann sangat dikenal dan masih tetap dikenang sampai saat ini oleh masyarakat di DI Yogyakarta. “Keluarga Obama ini punya tradisi sebagai Keluarga Intelektual. Lihatlah Barack dan Maya, mereka semua Intelektual. Kalau dikategorikan maka Ann ini adalah Indonesianis. Ann ini turun ke bawah, dia datangi Pasar Bringharjo (di DI Yogyakarta), kasongan, kasongan sekarang kita ribut karena industry kasongan maju di Bantul. Sementara Ann sudah menuliskan itu terlebih dahulu puluhan tahun yang lalu” kata Budiarto Shambazy. Menurutnya, Ann Dunham adalah seorang ilmuwan sejati yang mengakar. “Ann ini memang seorang aktivis yang aksesnya jauh lebih bagus dari ilmuwan lain yang bisanya cuma duduk di perpustakaan dan wawancara orang. Nah, Ann ini adalah tipikal Indonesianis yang giat bekerja, aktif di bidang yang dia tekuni. Ann itu berhadapan dengan kalangan miskin. Jadi kalau kita mau mengenal Amerika, jangan cuma tahu Amerika karena faktor George Bush doang, atau Holywood doing. Ann ini lho contoh “The Real American”. Lalu, di mata Budiarto Shambazy yang juga merupakan Pengamat Politik Amerika, sosok Ann Dunham adalah pribadi yang memang sangat mengesankan. “Ann itu berani melawan zamannya. Dia tidak boleh menikah dengan lelaki hitam tetapi ia lawan. Padahal resikonya besar. Untunglah dia tinggal diHonolulu yang menjadi sarangnya liberal. Ann adalah tipe perempuan pemberani. Setelah pernikahan pertamanya gagal, ia menikah dengan pria Indonesia. Dia tidak pernah dan tidak suka dengan pria-pria bule. Semua ini menunjukkan Ann Dunham berani menerjang badai, melawan arus” lanjut Budiarto Shambazy. Budiarto Shambazy juga menambahkan bahwa Ann Dunham adalah layak untuk dihargai. “Saya pribadi pernah mendengar ini secara langsung di Pasar Bringharjo sana. Masih banyak, penduduk-penduduk desa yang tetap mengenal Ann. Itu tidak bisa dipungkiri. Peran Ann Dunham sangat legendaris disana. Barangkali lebih dari ratusan orang-orang kecil di Pasar Bringharjo sana yang tetap mengingat dan mengenang Ann Dunham. Saya wawancarai penduduk di Paku Alaman sana, mereka semua tetap ingat dan sangat mengenang dengan baik sosok Ann. Mereka tidak pernah melupakan Ann. Ya memang, yang mengenal dan mengenang Ann disana adalah orang-orang tak berdaya, yang tidak punya identitas. Mereka bukan orang-orang terkenal. Tapi disanalah, Ann dikenal dan dikenang secara legendaris selama puluhan tahun ini” ungkap Budiarto Shambazy. Kabar tentang rencana pemberian penghargaan dari UGM untuk Ann Dunham ini adalah kabar baik yang patut dihargai. Setidaknya kita sebagai bangsa, bisa secara tulus menyampaikan ekspresi dan ungkapan rasa terimakasih kepada orang yang tepat. Ann sudah sepantasnya diberi penghargaan ( walaupun sebenarnya sangat terlambat ). Bukan karena ia adalah ibu dari seorang Presiden Amerika. Tetapi karena ia memang sungguh-sungguh berjasa bagi orang-orang kecil dan rakyat-rakyat pedesaan di Indonesia karena semasa hidupnya Ann mengabdikan betul-betul hidupnya dengan penuh totalitas untuk membantu kalangan tak berdaya di negeri kita ini. Ketika itu, Barack Obama masih sangat kanak-kanak. Boleh saja pada saat ini Barack Obama dikenal oleh seluruh dunia karena posisinya yang sangat bergengsi. Tetapi sang ibu yang lahir di Kansas tanggal 29 November 1942 ini, pada puluhan tahun yang lalu sudah lebih dulu melanglang buana melakukan banyak misi-misi yang sangat baik dan menyentuh hati. “Kami tinggal di Indonesia selama tiga tahun waktu itu, sebagai hasil dari pernikahan ibuku dengan seseorang berkebangsaan Indonesia bernama Lolo, mahasiswa lain yang ditemui ibuku di Universitas Hawaii. Nama lelaki itu berarti “gila” dalam bahasa Hawaii, yang membuat Kakek selalu tertawa geli. Namun, arti nama tersebut tidak sesuai untuk lelak itu karena Lolo memiliki tingkah laku yang baik dan lemah lembut terhadap orang lain. (termuat dalam halaman 53). Salah satu yang cukup menarik dalam buku ini – sekaligus yang cukup menggelikan – adalah saat Obama mengisahkan bagaimana kakek dan neneknya sangat sibuk membantu persiapan Ann Dunham dan Obama Junior pindah ke Indonesia. “Toot (yang artinya Tutu atau dalam bahasa Kenya diartikan sebagai panggilan kepada Nenek) masih saja bersikeras agar kami membawa koper yang penuh dengan perbekalan tang, susu bubuk, berkaleng-kaleng sarden. “kau tak pernah tahu mereka itu makan apa,” ujarnya tegas. Ibuku menghela napas, namun Toot memasukkan beberapa kotak permen agar aku lebih membelanya daripada Ibu (termuat dalam halaman 54). 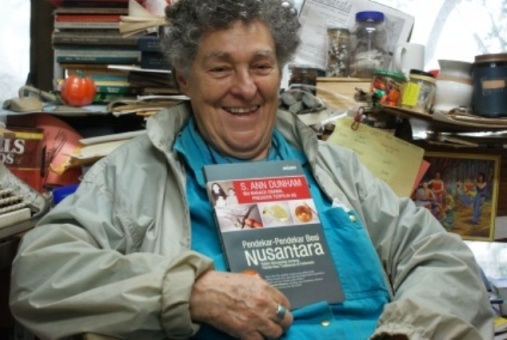 Prof. Alice Dewey berpose dengan memegang buku DISERTASI Ann Dunham Obama berjudul “Pendekar-pendekar Besi Nusantara: Kajian Antropologis tentang Pandai Besi di Indonesia“. Judul asli disertasi yang diselesaikan Ann Soetoro pada tahun 1992 ini adalah “Peasant Blacksmithing in Indonesia: Surviving and Thriving Against all Odds“. Yang kini perlu diingatkan kepada UGM, janganlah terpaku hanya kepada Presiden Barack Obama atau Maya Soetoro Ng sebagai orang yang “wajib datang” menerima penghargaan ini. Sebab belum tentu kedua kakak-adik bersaudara (tiri) ini bisa datang menerima penghargaan untuk ibu mereka. Langkah UGM yang mencoba berkoordinasi dengan Kedutaan Besar Amerijka di Indonesia sudah betul tetapi carilah lagi cara-cara lain untuk mematangkan rencana pemberian penghargaan ini. Ann memiliki banyak sahabat di Indonesia, salah satunya adalah Julia Suryakusuma. Ann juga memiliki seseorang yang sangat berjasa dalam kehidupannya yaitu Prof. Alice Dewey. Prof Alice yang memiliki nama berbau Indonesia yaitu SURATMI ini, adalah Ketua Komite Ph.D bagi Ann Dunham. 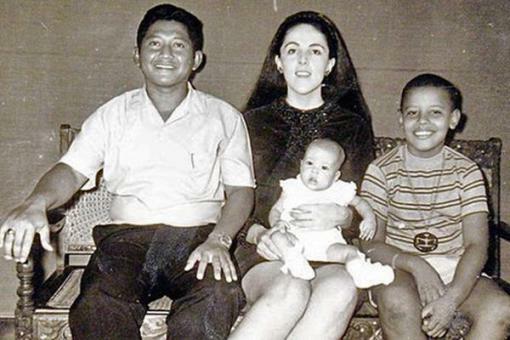 “Pada tahun 1967, Ann Dunham (dikenal juga sebagai Ann Soetoro) pindah ke Indonesia dengan putranya Barack Obama (dari pernikahan pertamanya) dan suaminya yang beretnis Jawa, Lolo Soetoro. Saat itu, Ann sudah mendapat gelar B.A dari University of Hawaii dalam bidang Antropologi dan merupakan penenun yang mahir. Oleh karena itu, mudah dipahami mengapa Ann sangat tertarik pada keaneka-ragaman cultural Indonesia dan pada berbagai kerajinan, terutama batik yang elegan dan kain tenun ikat”. “Ann berkenalan dengan penduduk desa, terutama pada pengrajin. Ann tidak hanya menghargai kompleksitas kerajinan, tetapi juga nilai ekonominya sebagai sumber pendapatan. Ann melakukan banyak sekali penelitian di Indonesia dalam beragam kerajinan tadi, terutama mencakup kerajinan besi, kain (batik, tenun ikat dan sebagainya), kulit (wayang kulut dan lain sebagainya), keramik (peralatan dapur dan patung) dan keranjang”. Bulan November memang bulan yang sangat istimewa untuk Ann Dunham. Di bulan November itulah, Ann berulang tahun tanggal 29 November 1942. Di bulan November itu jugalah, Ann meninggal dunia tanggal 7 November 1995. 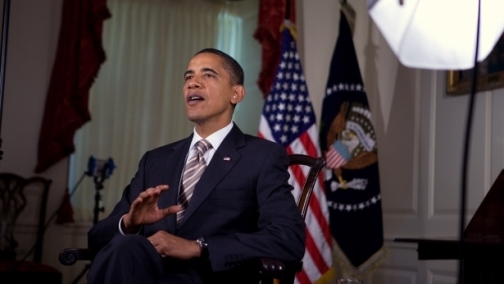 (Dan direncanakan di bulan November 2010 yang akan datang, Presiden Obama akan berkunjung ke Indonesia). Dan dengan adanya rencana penghargaan untuk Ann Dunham ini, diperkirakan pemberian penghargaan itu akan dilaksanakan pada bulan November yang akan datang. Tetapi, UGM tak perlu terpaku pada rencana kunjungan Obama agar misalnya penghargaan itu bisa diterima atau disaksikan penerimaannya oleh Presiden Obama sekeluarga atau maya Soetoro Ng. Kalau Presiden Barack Obama menunda kembali rencana kedatangannya ke Indonesia (sehingga otomatis Maya Soetoro Ng juga tak bisa ikut berkunjung ke Indonesia) maka UGM bisa memberikan penghargaan itu melalui Duta Besar Amerika untuk Indonesia SCOTT MARCIEL. Atau UGM bisa mulai menjajaki pemberian penghargaan itu kepada Prof Alice Dewey, orang yang paling berjasa dalam kehidupan Ann saat ia melakukan penelitian di Indonesia. Prof Alice Dewey pasti akan dengan senang hati akan menerima undangan dari UGM untuk datang kembali ke Indonesia untuk menerima penghargaan dari KAMPUS BULAK SUMUR untuk murid kesayangannya ini. Terbukti pada tanggal 18 Maret 2010, Prof Alice Dewey bersedia datang dari Hawaii untuk menjadi pembicara dalam Seminar internasional yang diberi judul “Ann Dunham Soetoro dan Ekonomi Kerakyatan” di Jakarta. Dengan kata lain, rencana pemberian penghargaan itu jangan hanya terpaku pada Obama atau Maya (walaupun memang secara teoritis, Obama dan Maya adalah orang paling pantas menerima penghargaan untuk ibu mereka). Walaupun UGM sudah mulai melakukan korespondensi dengan Maya Soetoro Ng tetapi tetaplah menyiapkan berbagai langkah antisipasi. Agar makna dibalik penghargaan itu tetap sangat terjaga secara baik. 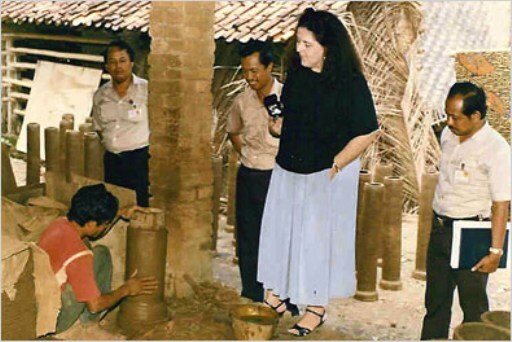 Ann Dunham memang berjasa untuk Indonesia. Ia mencintai Indonesia dan telah mengabdikan dirinya untuk kepentingan rakyat kecil tak berdaya lewat kebijakan-kebijakan dan praktek nyata ekonomi kerakyatannya. Tak sebanding memang, penghargaan ini dengan jasa-jasa dan seluruh perhatian serta kebaikan Ann kepada rakyat pedesaan di Indonesia semasa hidupnya. Tetapi setidaknya, ada “sesuatu” yang sangat monumental diberikan untuk Almarhumah Ann. Setulus Ann melakukan banyak kebaikan di Indonesia, setulus itu jugalah Indonesia harus membalasnya. Terimakasih Ibu Ann, untuk cinta dan semua kebaikan anda dulu kepada Indonesia. Izinkan lewat penghargaan yang sederhana ini, ada yang secara nyata mengenangmu dengan sederhana tapi sangat menyentuh hati. October 16, 2010 (KATAKAMI / WHITE HOUSE.GOV ) After a decade of hardship for middle class families, and a recession that wiped away millions of jobs, we are in the middle of a tough fight to rebuild this economy and put folks back to work. Winning this fight will not depend on government alone. It will depend on the innovation of American entrepreneurs; on the drive of American small business owners; on the skills and talents of American workers. These are the people who will help us grow our economy and create jobs. But government still has an important responsibility. And that’s to create an environment in which someone can raise capital to start a new company; where a business can get a loan to expand; where ingenuity is prized and folks are rewarded for their hard work. That’s why I fought so hard to pass a jobs bill to cut taxes and make more loans available for entrepreneurs. It eliminated the capital gains taxes for key investments in small businesses. It increased the deduction to defray the costs of starting a company. And it’s freeing up credit for folks who need it. In fact, in just the first two weeks since I signed the bill, thousands of business owners have been able to get new loans through the SBA. But we need to do more. So I’ve proposed additional steps to grow the economy and spur hiring by businesses across America. Now, one of the keys to job creation is to encourage companies to invest more in the United States. But for years, our tax code has actually given billions of dollars in tax breaks that encourage companies to create jobs and profits in other countries. I want to close these tax loopholes. Instead, I want to give every business in America a tax break so they can write off the cost of all new equipment they buy next year. That’s going to make it easier for folks to expand and hire new people. I want to make the research and experimentation tax credit permanent. Because promoting new ideas and technologies is how we’ll create jobs and retain our edge as the world’s engine of discovery and innovation. And I want to provide a tax cut for clean energy manufacturing right here in America. Because that’s how we’ll lead the world in this growing industry. These are commonsense ideas. When more things are made in America, more families make it in America; more jobs are created in America; more businesses thrive in America. But Republicans in Washington have consistently fought to keep these corporate loopholes open. Over the last four years alone, Republicans in the House voted 11 times to continue rewarding corporations that create jobs and profits overseas – a policy that costs taxpayers billions of dollars every year. That doesn’t make a lot sense. It doesn’t make sense for American workers, American businesses, or America’s economy. A lot of companies that do business internationally make an important contribution to our economy here at home. That’s a good thing. But there is no reason why our tax code should actively reward them for creating jobs overseas. Instead, we should be using our tax dollars to reward companies that create jobs and businesses within our borders. We should give tax breaks to American small businesses and manufacturers. We should reward the people who are helping us lead in the industries of the future, like clean energy. That’s how we’ll ensure that American innovation and ingenuity are what drive the next century. That’s how we’ll put our people back to work and lead the global economy. And that’s what I’ll be fighting for in the coming months. October 16, 2010 (KATAKAMI / RIA NOVOSTI) — The United States will “watch closely” cooperation between Russia and Venezuela in the nuclear sphere, but has confidence in Russia regarding the observance of international nuclear non-proliferation obligations, State Department spokesman Philip Crowley said. Russia and Venezuela signed on Friday an agreement on the construction of a nuclear power station in the South American country as part of Venezuelan President Hugo Chavez’s visit to Moscow. The agreement was reached in April 2010 during Russian Prime Minister Vladimir Putin’s visit to Caracas. “But we have confidence in Russia,” he said. Western powers fear that Iran, which is already under four sets of UN sanctions over its controversial nuclear program, may obtain advanced nuclear technologies, which would jeopardize security in the Middle East. At Friday’s signing ceremony in Moscow, President Dmitry Medvedev said cooperation with Venezuela in nuclear field does not constitute a threat for other countries. October 15, 2010 Washington (KATAKAMI / Spicezee.Zeenews.Com) : The US First Lady, Michelle Obama’s approval ratings have soared to 65 percent, twenty points higher than the president, according to a CNN/Opinion Research Corporation poll. According to the Daily Mail, Michelle Obama is seen as a saviour for the Democratic party, and her popularity among voters and candidates has given the Democrats a boost ahead of next month’s mid-term elections. The survey results also revealed that six out of ten men and more than seven out of ten women approve of Michelle Obama’s performance as First Lady. Republicans are much cooler on the First lady, with 39 percent approving and 46 percent disapproving. 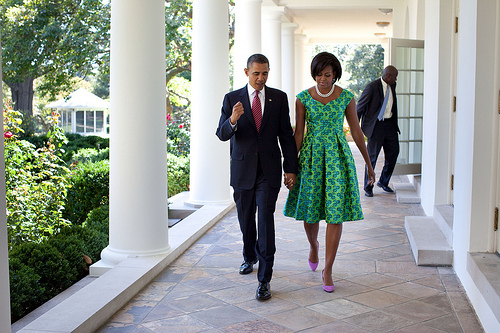 Michelle’s popularity has reportedly attracted the congressional candidates so much that they expressed more excitement at the prospect of campaigning with her than with Barack Obama. When President Obama visited Wisconsin to talk up Democrat Senator Russ Feingold last month, the election hopeful’s support plunged 5 percent overnight, but after Michele’s trip to the same state on Wednesday, his popularity spiked to its highest level of his campaign and she helped him raise more than 150,000 dollars (240,000 pounds), the paper said. Several Democrat candidates have aired TV adverts highlighting votes in Congress where they have opposed the White House, while few others have reportedly urged the president’s office that they would prefer it if Barack Obama stayed away, the paper added. While President Obama is facing criticism for failing to bring America out of a prolonged economic crisis, Michele is acting as the first cheerleader to improve her husband’s image. October 09, 2010 (KATAKAMI / WHITE HOUSE.GOV) — The other day, I was talking about education with some folks in the backyard of an Albuquerque home, and someone asked a question that’s stayed with me. He asked, if we don’t have homes to go to, what good is an education? It was a heartfelt question, one that could be asked by anyone who’s lost a home or a job in this recession. Because if you’re out of work or facing foreclosure, all that really matters is a new job. All that really matters is a roof over your head. All that really matters is getting back on your feet. That’s why I’m fighting each and every day to jumpstart job-creation in the private sector; to help our small business owners grow and hire; to rebuild our economy so it lifts up a middle class that’s been battered for so long. But even as we focus on doing all that; even as we focus on speeding up our economic recovery; we also know that when it comes to jobs, opportunity, and prosperity in the 21st century, nothing is more important than the quality of your education. At a time when most of the new jobs being created will require some kind of higher education; when countries that out-educate us today will outcompete us tomorrow, giving our kids the best education possible is an economic imperative. That’s why, from the start of my administration, we’ve been fighting to offer every child in this country a world-class education – from the cradle to the classroom, from college through a career. Earlier this week, I announced a new Skills for America’s Future initiative that will help community colleges and employers match what’s taught in the classroom with what’s needed in the private sector, so we can connect students looking for jobs with businesses looking to hire. We’re eliminating tens of billions of dollars in wasteful subsidies for banks to administer student loans, and using that money to make college more affordable for millions of students. And we’ve launched a Race to the Top in our states to make sure our students, all of them, are graduating from high school ready for college – so we can meet our goal of graduating a higher proportion of students from college than any other country in the world by 2020. And yet, if Republicans in Congress had their way, we’d have a harder time meeting that goal. We’d have a harder time offering our kids the best education possible. Because they’d have us cut education by 20 percent – cuts that would reduce financial aid for eight million students; cuts that would leave our great and undervalued community colleges without the resources they need to prepare our graduates for the jobs of the future. Now, it is true that when it comes to our budget, we have real challenges to meet. And if we’re serious about getting our fiscal house in order, we’ll need to make some tough choices. I’m prepared to make those choices. But what I’m not prepared to do is shortchange our children’s education. What I’m not prepared to do is undercut their economic future, your economic future, or the economic future of the United States of America. Nothing would be more detrimental to our prospects for success than cutting back on education. It would consign America to second place in our fiercely competitive global economy. But China and India aren’t playing for second. South Korea and Germany aren’t playing for second. They’re playing for first – and so should America. Instead of being shortsighted and shortchanging our kids, we should be doubling down on them. We should be giving every child in America a chance to make the most of their lives; to fulfill their God-given potential. We should be fighting to lead the global economy in this century, just like we did in the last. And that’s what I’ll continue fighting to do in the months and years ahead. Thanks, everybody, and have a nice weekend.